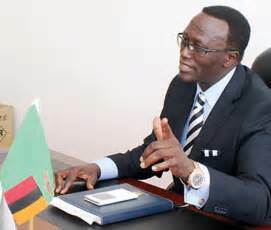 Ministry of Information Permanent Secretary (PS), Chanda Kasolo said he is pleased that the media has set May 9 and 10, 2019, as the date for an all-inclusive stakeholder meeting to come up with a self-regulatory mechanism. In a press statement issued by the ministry’s public relations unit, Kasolo said government is happy that the media appreciate the need for a mechanism to regulate themselves in order to enhance ethical and professional journalism in the country. The Permanent Secretary said this when the Media Liaison Committee led by its chairperson, Enock Ngoma held a meeting with him at his office in Lusaka yesterday. Kasolo reiterated that government wanted statutory regulation to avoid past failed media attempts at media self-regulation, such as the Zambia Media Council (ZAMEC). And briefing the Permanent Secretary, Ngoma said the May 9 and 10 indaba seeks to agree on an effective media self-regulatory model to be adopted for Zambia. Ngoma said the meeting will also agree on the code of conduct and the interim committee to lead the implementation of the model. At the same meeting, veteran media trainer, Oliver Kanene expressed confidence that the issue of media self-regulation, which has been elusive over the years, will finally come to a conclusion at the May meeting. Recently, government has been urging the media to urgently come up with a regulatory framework to promote ethical and professional media standards in the country. Over 250 delegates from media associations, media houses and Civil Society Organizations (CSOs) are expected to attend the indaba.